The Browns have two of the best minds in the entire NFL running their front office. 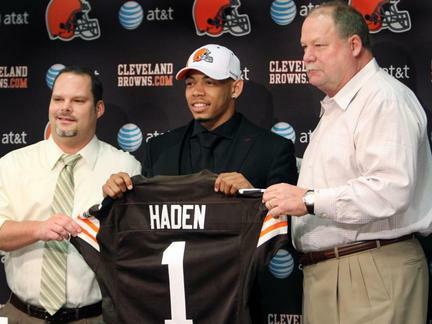 Heckert and Holmgren have done an outstanding job bringing worthy talent to Cleveland in the short time they've been together, but there's still a ton of work to be done. As the Browns approach the final stretch of the 2011 NFL season, they also approach one of the toughest remaining schedules in the entire league, starting with this week’s match-up on the road against the Cincinnati Bengals. From there they get the Ravens at home, followed by the Steelers, Cardinals, and Ravens – all on the road. Cleveland ends their season with a home match-up against Pittsburgh. The Browns may pull their usual shocker, meaning they’ll beat a team that they have absolutely no business beating, but at most I see (maybe) two more wins the rest of the season. Because of another heartbreaking season by our beloved Browns, we can start to turn some of our attention to the off-season and the upcoming NFL Draft. We all know how NFL off-seasons work; NFL front offices everywhere will be busy scanning through the list of potential free agents, as well as scouting those players eligible for the upcoming NFL Draft. With Thanksgiving break approaching, you’re sure to be in need of something to read while dinner is in the oven. 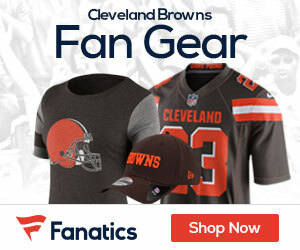 Check out BrownsGab.com for an in-depth look into how I think Holmgren & Co. should approach what’s going to be, in my opinion, an extremely critical off-season for the Browns organization. For now, we’ll take a look at Cleveland’s upcoming free agents, and who I think will stay, and who will go, in Cleveland after this season. Here’s a look at the key players likely to face the free agency dilemma. What 2 Expect: Call it the “Madden Curse” if you choose, but all the drama surrounding Peyton Hillis during the season is likely to cost him a future with the team. It’s more than the “Strep Throat Scandal” that kept him out of the Miami game, and his demand for a contract extension. Hillis was supposed to be a bright-spot (if there was such a thing) for the Browns offense this season. Instead, Hillis has been a no-show, playing in only four games, totaling a measly 211 yards on just 60 carries and 2 touchdowns so far this season. A big reason for his drop-off has been a nagging hamstring injury that has kept him out of six-straight games, but a lot of it could also be blamed on a dismal offensive-line. Regardless, rumors have it that Hillis isn’t the “ideal back” for Shurmur’s style of offense, and was reportedly on the trading block just before the trading deadline earlier this year. Browns Without Hillis: The cupboard isn’t exactly bear without Hillis in the Browns backfield. Fans tend to forget about Brandon Jackson, who, in my opinion, is exactly the kind of back Shurmur prefers for his offense. Injuries have depleted Cleveland’s backfield, however, and are now forced to go with Chris Ogbonnoya due to the injury to Montario Hardesty. Even with a healthy Brandon Jackson and Montario Hardesty, but minus Hillis, in Cleveland’s backfield, depth will still need to be added. There are some big names in next year’s free agent class – Arian Foster, Matt Forte, Ray Rice – but those players are likely to return to their perspective teams. Outside of those three, it’s a pretty average class. So, that leaves the draft, which is exactly where I think the Browns will nab their future running back, though not Trent Richardson like most of the mocks predict, but we’ll discuss the draft later. In other words, life without Peyton Hillis may be a little hard for the female Browns fans, but the team will be just fine. What 2 Expect: This is a tough one. Dawson, the only remaining original member of the ‘99 Browns expansion team, has been extremely solid for the Browns, though he has struggled a bit as of late. Over the course of his 13-year career in Cleveland, Dawson has converted 83% of his field goal attempts, and has missed only eight extra points. The last few weeks, Dawson has been a bit dinged up, which could be a sign of age. However, the shelf-life of kickers in the NFL can usually last for as long as the players wants too, and if Dawson can finish the season strong, he may be retained. Remember, the Browns did use their franchise tag on Dawson before the start of the season, so they obviously find value in the old-timer. My gut says he stays. What 2 Expect: If Holmgren & Co. fail to retain Jackson’s services, I will have officially lost all hope in this organization. Jackson missed the last two years with a pectoral injury, but had done a decent job prior to that playing in the 3-4 defense. Ask anyone who knows football and they’ll tell you that Jackson has always been better suited for the 4-3 defense, not the 3-4. After a full recovery, Jackson has been nothing short of impressive in his return, and would undoubtedly get my vote for NFL’s Comeback Player of the Year. Jackson is 5th in the NFL in total tackles with 91, and has been a clear leader on Cleveland’s top five defense this season. I sincerely believe that the front office will do anything and everything they can to make sure Jackson returns in a Cleveland uniform. Thoughts: I think Evan Moore will see more time at wide receiver next season, leaving a spot at the tight end position for Smith. Smith and Watson are the team’s best blockers from the end position, and Smith does hold his own in the passing game. Thoughts: There was a lot of chatter during the preseason that Norwood could be a dangerous weapon for the Browns offense this season. Norwood certainly isn’t a household name, but no one of Cleveland’s offense has looked good this season. I think he’ll at least get a shot, and will maybe make it through preseason. If he shines there, his services should be retained. Thoughts: Adams has done a solid job this season for the Browns this season. He currently leads the teams in interceptions, albeit with just two, and does have a fumble recovery. Although I fully expect for the Browns to address the offense during the off-season, I do think they’ll look for a replacement for Adams. Thoughts: Brown showed promise during the preseason, but never really got going after the season started, partially because of injury. The front office is likely to bring in a linebacker this off-season, but Brown could find himself as one of the last players cut, if he’s cut at all. Thoughts: Cleveland’s offensive line has been atrocious this season and Cousins certainly hasn’t helped. Cousins ranks as one of the worst pass protecting lineman in the NFL, and doesn’t even really provide solid depth to the roster. As with most of offensive lineman, I expect the front office to “clean house”, if you will, of the o-line, and use this off-season to really address Cleveland’s most glaring weakness on offense. No way Cousins returns to Cleveland. Thoughts: Same exact scenario has Cousins. Hicks not only has done little to improve the team, but he’s old – at least by NFL standards. Thoughts: I’m not sure what will happen with Greco, to be honest. Greco was acquired in a trade with the Rams this season, but he hasn’t really lived-up to the “hype”, per say. He was really expected to be a contributor for the Browns this season, and although he hasn’t really been one, Shurmur may think enough of Greco to give him another shot. So there you have it, a quick look at upcoming free agents for the Cleveland Browns. Make sure you check back with BrownsGab.com, as we talk about potential free agents Holmgren & Co. may be targeting. This draft will determine where this team is really headed . . . I hate to think it, but QB is a position of need yet again -but they must wait until middle rounds in order to address it due to other glaring needs, like WR, RB, OL. I don’t see any big-time FAs being added, but who knows? Brandon Jackson will be back, as will Steinbach. Montario is starting to look like a hangar queen. What I see is a core of young players that are decent, but hardly dominating. Haden, T.J. Ward, D’Qwell, Thomas, Mack, Moore, Little, as well as Cribbs would probably start or have significant playing time anywhere, but who else on this team? That is not enough . . . not if you want to compete in this division. . .